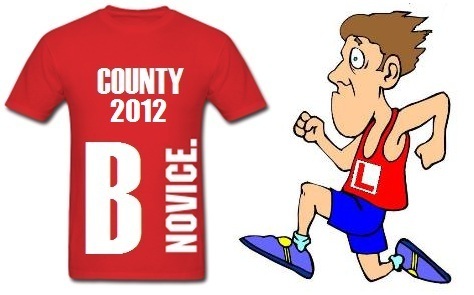 Cork County Novice B & Juvenile B Cross Country Champs 2012, Conna, Sun 28-Oct-2012, 12pm — St. Finbarr's A.C. The Cork County Novice B & Juvenile B Cross Country Championships will take place on Sunday 28th October in Conna, Co. Cork commencing at 12 noon. The schedule of events will be the same as the recent County Novice XC in Carrignavar, Novice Women at 12pm, Novice Men at 12.30pm and Juveniles at 1pm. With all the big guns and the boy racers ineligible, the Novice B is an ideal opportunity for new club members and L-plate runners to experience cross country on more level terms. I was going to say level playing pitch, but in truth the organisers of cross country events do their level best (sorry for all the puns) to ensure there are few if any level running surfaces at cross country. Remember, the objective is to hinder, not facilitate smooth running. If you’re not planning on going to the Dublin Marathon 2012 and you’d like to have a go at Cross Country, please reply to compsec@stfinbarrsac.com before Wednesday 24th October 2012. You’ll need a club top, a pair of spikes and have a washing machine and packet of Bold or Persil on standby when you get back home. Any athlete who has not won a medal at Novice, Intermediate or Senior Cross Country Championships at either County, Provincial or AAI National level. To get to Conna, make your way to the Dunkettle roundabout via the Tunnel or the Lower Glanmire Road and head north for Dublin. Exit the motorway at Watergrasshill before you reach the Toll Plaza. 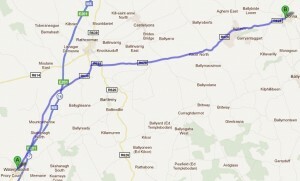 Go through the village and head north for Rathcormac on the old Dublin (N8/R639) Road. 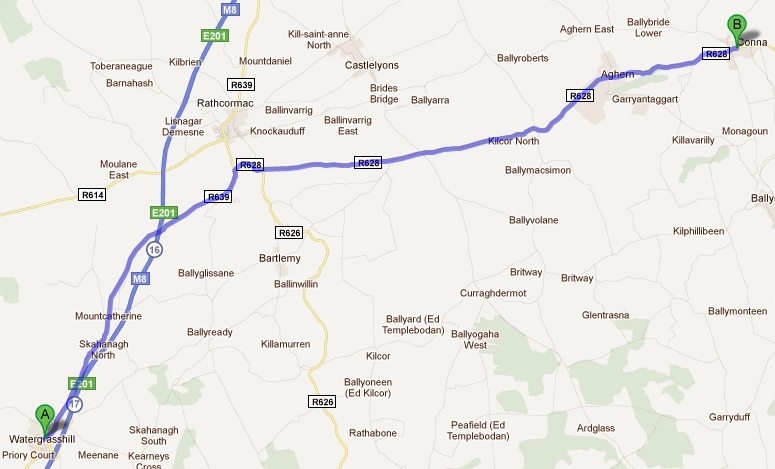 About 1km before you enter Rathcormac, turn right onto the R628 heading east for Tallow. Conna is about 12.5km down the road or 20km from Watergrasshill. The turnoff for the Cross Country venue will be signposted before you get to Conna village. The Novice B is held under AAI rules; therefore participating athletes must be registered club members and wear the club Singlet. If you need it, transport will be available leaving the UCC Farm in Curraheen at 10am. The Novice Women are off first followed by the Men. If you are not running, please come along anyway and cheer on the club. Best of luck to everybody.